Get ready for a Prohibition-style night out! This gutsy 6oz Stainless Steel Pistol Flask Set will have everyone abuzz with intrigue. 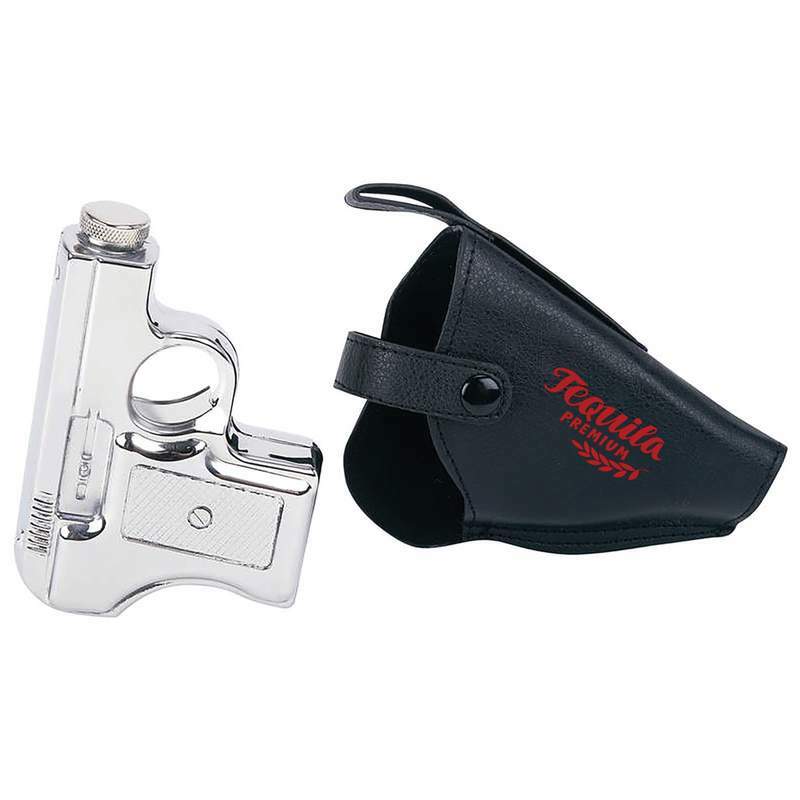 The set includes a 6oz pistol-shaped flask and faux leather holster, designed to open-carry your favorite beverage and get plenty of laughs, too! Measures 5" x 2-5/8" x 1". Limited lifetime warranty. White box.